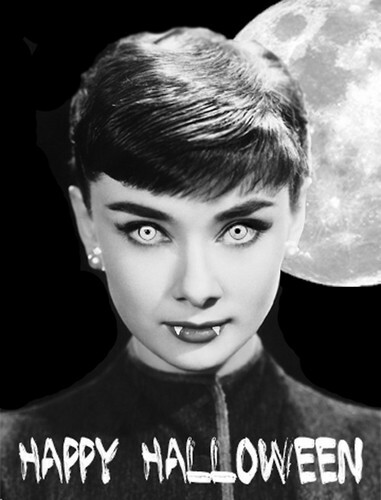 Happy Halloween Audrey <33. Audrey Hepburn. Wallpaper and background images in the Audrey Hepburn club tagged: audrey hepburn tumblr. This Audrey Hepburn photo might contain sign, poster, text, chalkboard, portrait, headshot, and closeup.